LOS ANGELES (July 19, 2018) – The Conrad N. Hilton Foundation has granted $1 million to continue its support of the Homelessness Policy Research Institute (HPRI), a county-wide effort to foster collaboration among top researchers and policymakers working to end homelessness in Los Angeles County. 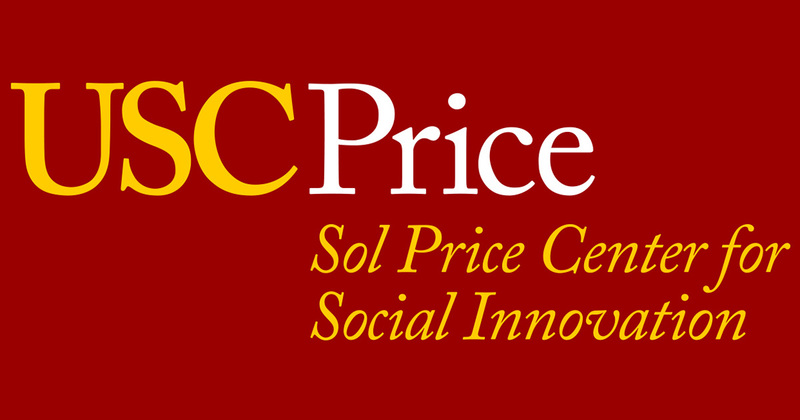 Launched in April 2017 in partnership with the United Way of Greater Los Angeles’ Home for Good Initiative and with a planning grant from the Hilton Foundation, HPRI — housed in the Price Center for Social Innovation — is the first institute in California specifically dedicated to ensuring homelessness research meaningfully informs policy decisions. HPRI begins its work at a time when homelessness has reached a critical point in Los Angeles County. Actionable research is crucial to develop effective policies and address barriers to ending homelessness, which is a top priority for policymakers and voters alike. After seeing homelessness numbers increase in recent years, voters overwhelmingly approved Proposition HHH and Measure H, two funding measures that will direct billions of dollars toward solving homelessness over the next 10 years. To ensure these resources and other programs are effective in ending homelessness, HPRI research partners will evaluate the success of efforts thus far and develop recommendations for future policies and programs. HPRI’s committee of highly regarded researchers represent a variety of public and private institutions, including Abt Associates, RAND Corporation, the Economic Roundtable, University of California Los Angeles (UCLA), USC and others. The group is co-directed by the California Policy Lab, which pairs trusted experts from UCLA and UC Berkeley with policymakers and generates scientific evidence that solves California’s most urgent problems, including homelessness. This diverse coalition meets monthly to discuss current and upcoming research projects, identify opportunities for collaboration, and brainstorm possible research approaches to top policy issues. With additional support from the Hilton Foundation, HPRI will host quarterly seminars to connect researchers and policymakers, conduct data analysis and research translation for actionable use, and dispense research findings to community partners. HPRI members also regularly collaborate with program and policy staff at the Los Angeles Homelessness Services Authority (LAHSA). Earlier this year, HPRI worked with LAHSA to develop a request for proposals to evaluate Solid Ground Van Nuys, a new family homelessness prevention program funded by Los Angeles County Supervisor Sheila Kuehl’s office. HPRI also established a committee on racial equity issues related to homelessness, which works closely with LAHSA’s Ad Hoc Committee on Black People Experiencing Homelessness. California Policy Lab, an HPRI member, also recently presented initial findings on homelessness prevention that LAHSA is working into its prevention screening program design. As it expands and seeks to gain additional funding from a variety of sources, HPRI will continue to gather local and national experts in homelessness as well as related issues, including housing, healthcare, economic inequality and social services to inform policymaking at all government levels.